﻿ How budget hotels are tapping India? How budget hotels are tapping India? Today, the industry trend is moving towards a lot of leisure travel, local preferences, loyal customers and corporate level meetings. The growing tourism and travel has led to the growth of mid scale and budget hotels in India, especially in the tier-II, tier-III cities and the tourist and religious hotspots in the country. Due to the increase in the number of corporate and business class travelling from one country to another, the hotel industry has witnessed a tremendous growth. Hotels are expanding in and around the country to provide their customer a world class feeling. Today, the industry trend is moving towards a lot of leisure travel, local preferences, loyal customers and corporate level meetings. “The focus is mainly on the domestic travellers. At present, 85 per cent of our guests are from this segment,” says Rahul Pandit, President and ED, Lemon Tree Hotel Company. Not only this, last year the International hospitality chain Hyatt Hotel Corporation has announced to bring all of its seven brands in India in the next three years in order to increase its footprint in the country. The chain that had entered India with Hyatt Regency in Delhi 30 years ago will open three new hotels in India this year, which will take its total room capacity to 5,300. On the other hand, Indian Hotels Company, which operates Taj Group of hotels in India, will open three new properties under the Gateway Hotels and Resorts brand by 2015. Speaking on the same, Prabhat S Verma, COO, Gateway Hotels and Resorts, shares "We will be opening three new properties under the Gateway brand in India by end of 2015 taking the total number under the brand to 28.” The company currently has 25 Gateway properties across the country at Agra, Bangalore, Chikmagalur, Coonoor, Gir, Hubli, Jaipur, Jodhpur, Madurai, Mangalore, Nashik, Vadodara, Varanasi, Ahmedabad and Chennai, amongst other. Hoteliers are of the view that after extensively studying consumer behaviour and having successfully established hotel chains across India, they have found that mid size and budget hotels are well accepted and are the most successful segment acknowledging growth in the hospitality sector. However, associate requirements and attritions are the biggest issue during expansion. Training is another major problem and also traps of local supplies as the rates are going higher day-by-day due to inflation and unnecessary hike by the suppliers. No matter the problem, the hotel industry is on a boom. At the same time, the hotel industry has witnessed a lot of investment happening for expanding their brand in and across the country. Lemon Tree, the hospitality chain which entered the hospitality race in 2002 is planning to invest Rs 600 crore to open 900 rooms across India by the end of next financial year. Meanwhile, ITC also plans to invest about Rs 9,000 crore in the next three to four years to expand its hotel portfolio to 150 hotels. The group is planning to open hotels in Mahabalipuram, Kolkata, Ahmedabad, Hyderabad and Colombo by 2018. Not only is this, Wyndham Hotel Group, part of the NYSE-listed Wyndham Worldwide Corporation, is searching for partners in India for its ‘Wyndham Garden’ hotel brand. 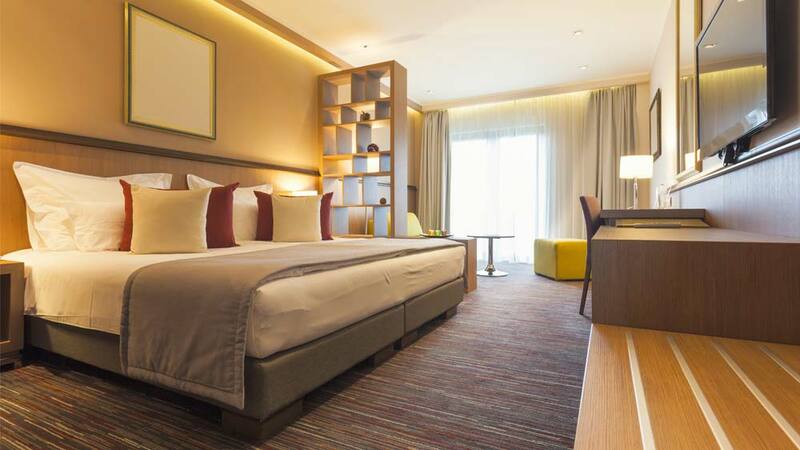 Garden Brand is the mid-budget hotel and is usually located in business districts, airports and suburbs. “The hotel chain is looking for a good location and partners in India. We have a portfolio of well-respected and global brands that span the hospitality spectrum, with a particularly strong presence in the economy and mid-scale segments,” says Deepika Arora, Regional Vice-President, Wyndham Hotel Group. Thus, we can say that with a lot of travel and tourism happening in the country, hotel brands are looking at bigger opportunities happening within next few years. D\'lecta launches world\'s first automatic fresh t..